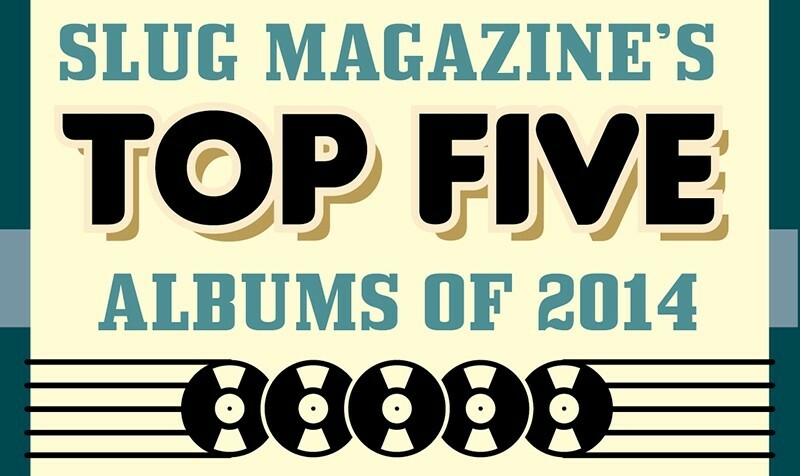 Every December, SLUG Magazine sounds the rallying call and gathers the staff’s lists of Top 5 albums from the year. In the next few pages, find a wide range of genres, artists and records that were of note for 2014—with a few other Top 5 beats like video games, comics and movies peppered throughout. As always, we’ve included some extended reviews of some of our favorite albums from this past year, such as locals Big Wild Wings, Ered Wethrin, Foster Body and the Dirty Provo Vol. 1 compilation, along with a slew of non-local bangers.